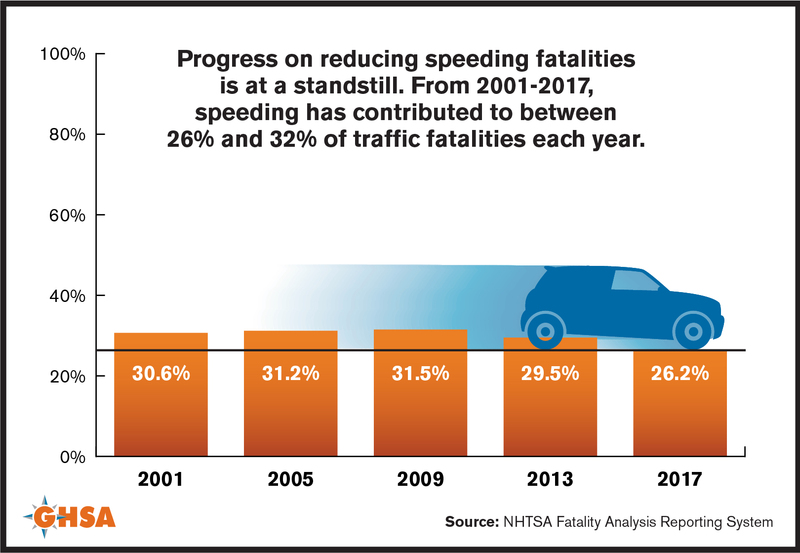 GHSA's latest spotlight report, "Speeding Away from Zero: Rethinking a Forgotten Traffic Safety Challenge," highlights excessive vehicle speed as a persistent contributor to motor vehicle fatalities, accounting for nearly a third of traffic deaths each year. The report takes a fresh look at this challenge, outlining the latest research, programming, and countermeasures to address speeding. 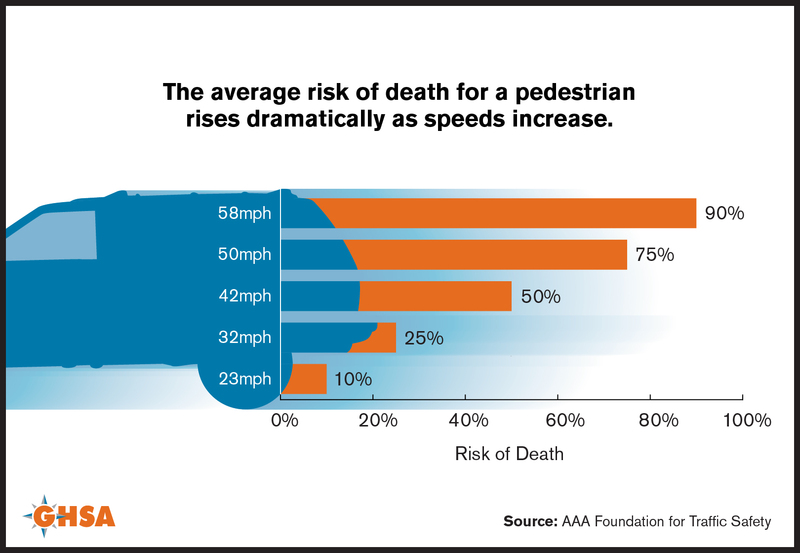 "Speeding Away from Zero" calls for increased attention to this issue through comprehensive public awareness campaigns, traditional and automated enforcement efforts, and traffic calming infrastructure. Additionally, the report examines successful approaches to speeding, including the implementation of Vision Zero concepts in urban areas. The widespread public acceptance of speeding and lack of risk perception are also underlined as obstacles to reducing speeding deaths. 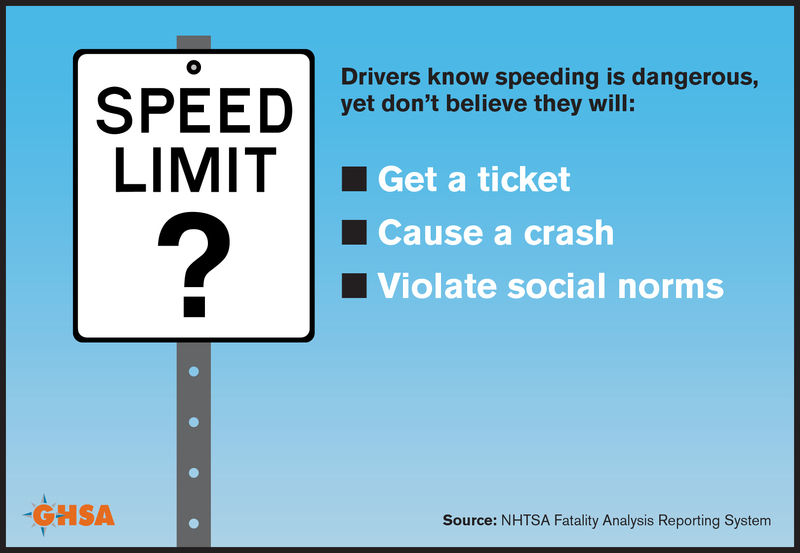 Download "Speeding Away from Zero: Rethinking a Forgotten Traffic Safety Challenge"
To confront the issue of speeding directly, GHSA, in partnership with the Insurance Institute for Highway Safety (IIHS), is convening a speeding forum in April 2019. The event will bring together a wide range of stakeholders to develop the architecture of an integrated speed management program that states and their partners can implement to convince motorists, improve roadways, and change culture to prioritize safety over speed. JPEGs of the following infographics are available for download under "Resource Downloads" below. For higher resolution PDF images, please contact Madison Forker at mforker@ghsa.org.